What is a p-card? | What are the benefits of using a p-card? If you are wondering what is a p-card, a pcard is a type of company card that employees can use to charge goods and services on behalf of their employers without having to go through the traditional purchase request and approval process. They are also known as purchasing cards or procurement cards. 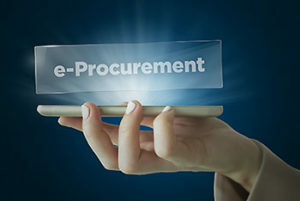 More businesses are using procurement cards within their companies to help to lower the transaction costs for day-to-day items. According to the National Association of Purchasing Card Professionals, the transaction costs for processing a request and approval is the same no matter how much an item is worth and average between $50 to $200 per transaction. This means that transactions costs may often exceed the value of small items that companies need. How can I use a p-card? In order for you to understand what is a p-card, it is important for you to understand how they can be used by a company. Companies issue p-cards to specific employees to use to make purchases. The employees are expected to follow the companies’ policies related to p-card use. Instead of filling out requisition forms when small items are needed, the employees can simply charge the items to their p-cards. Because of the greater efficiencies of using p-cards for making small transactions, the NAPCP reports that the average savings per transaction made with a p-card is $63. In addition to using the cards for high-volume transactions, more companies are also using them to replace checks and to make the payments to suppliers more automatic. Why use a purchasing card? Using p-cards gives companies greater spending flexibility. With traditional processes, an office manager who needs to purchase a new stapler would need to take time to fill out a request form and submit it. The request would then be processed and submitted for approval. Then, the purchase order would be issued, and the stapler could be purchased. In terms of soft costs, this process is expensive. Companies have to pay their employees for the time it takes to process these types of requests, and the amount of money that they spend can be far more than the cost of the stapler or other items. With p-cards, the process can be avoided along with the transaction costs. What is the difference between a pcard and a corporate card? P-cards allow companies to streamline the payment process and to track expenses more efficiently. Businesses are able to restrict the p-cards that they give to their employers to specific dollar threshold amounts and to restrict their use to specific merchants. Corporate cards are often given to employees for travel. They function in a similar way to credit cards. They have fewer restrictions that are placed on them, and employees who are given corporate cards must submit expense reports to detail their expenses each month. Business credit cards are credit cards that are reserved for businesses rather than for individual consumers. To get a business credit card, a business owner and the business normally both have to submit to credit checks. Charges on the credit card add to the debt balance on the attached revolving line of credit. Unlike p-cards, balances on business credit cards may be charged high rates of interest, and the cards may also carry high annual fees. By contrast, p-card charges must be paid in full every month, or the cards may be linked to a business’s account so that the charges are paid automatically. Some of the disadvantages depend on how your payments are set up. If you have multiple types of payments in addition to your p-cards, it can confuse employees who are uncertain of which type to use. Some p-card programs may also not integrate with other purchasing data so that your company might not have a complete picture unless your payment and purchase systems have been streamlined. P-card software allows businesses to exercise greater control over the spending at their companies while also helping them to foster better relationships with their suppliers. Instead of waiting for invoices to be paid, the suppliers can be paid much faster. Good p-card software also allows full integration with your business’s bookkeeping and accounting software. When your employees use their cards, the transaction data is imported automatically into your accounting program. Employees are able to photograph their receipts and submit them as attachments. P-cards have multiple advantages over business credit cards. Credit cards have a credit limit that is established by the card issuer. Employees who are given the cards can spend up to the credit limit and can use the cards anywhere that credit cards are accepted. Balances on credit cards can also come with high rates of interest if they are not repaid in full. P-cards do not allow businesses to carry balances from month to month and so will not incur interest charges. The best p-cards are linked to the company’s own high-balance deposit account. The business is able to allocate the amount that is available on the card, and the card can’t be used to access the funds that are on deposit in the linked account. Is a p-card a business debit card? A p-card is a special type of business debit card. Business debit cards are linked to the company’s account, and the purchases are subtracted from the account balance when they are made. P-cards also are linked to the company’s account. However, the business owner chooses how much money to make available on the p-cards and can restrict the amount that can be spent by the day or week. 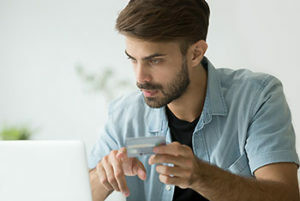 Traditional business debit cards may allow employees to spend up to the account’s balance or at least up to the bank’s established daily spending amount. P-cards have more robust controls and can’t be used to make withdrawals at ATMs or to be spent wherever an employee might like. Virtual cards are randomly generated numbers that are composed of 16 digits like credit cards and come with CVV codes. These virtual numbers are linked to an underlying card account but cannot be traced back to the original account. 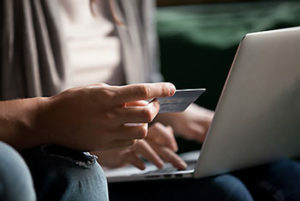 Virtual cards can be used to securely make one-time purchases online or by telephone and will not work after they have been used. P-cards are plastic and can be used in person. Virtual cards may not be used in person since there isn’t a physical card that can be presented. P-cards may be turned on or off by the business owners so that they will work only during the times that the business owners want to allow. If your company plans to start using pcards, it is important that you understand the best practices for their use. You should implement a clear expense policy that outlines your expectations for purchases made with the p-cards and conduct training sessions with your employees about their cards. You can then decide how much money you want to place on each card before you give them to your employees. The cards allow you to restrict purchases by merchant code so that you can restrict where they can be used. You might also want to turn the cards off when your employees are not working or after specific purchases have been made. Making a habit of checking your balances on each card and how your money is being spent is a good idea so that you can spot issues early before they blossom into major problems. Since you are able to restrict where the cards can be used and how much can be spent, using p-cards can help to protect you from unauthorized charges and shady vendors. You can turn cards off after single transactions and turn them on again when they are needed. You can also restrict how much money is available on a card. If a vendor attempts to charge money to your card for something that has not been authorized by you, the charge will be declined. Similarly, if an employee tries to buy something that you have not authorized, the card will be declined. Purchasing cards can be given to each department within your organization. The spending that occurs within each department will be separated by the individual cards. You can assign different categories of spending to different departments. This allows you to easily see how much is being spent in the different expense categories that you are tracking. 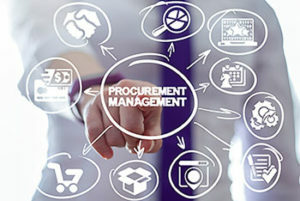 Tracking becomes automatic when you use procurement cards. The information from the cards imports into your accounting software automatically as the purchases are made. The information will go into the different expense categories in your software so that categorizing of departmental spending will be automatic rather than requiring manual entry. The Bento for Business Visa debit card solution includes p-cards and p-card software. The cards offer business owners expansive controls over how employees can spend your money. You can restrict your employees on where, when, and how much they can spend. If you are a doctor with your own practice, you can give your medical office manager a card that has a limit of $2,000 that can be used to pay for laboratory tests from your preferred diagnostic lab. Your medical office receptionist may be given a procurement card to pay for office sundries such as paper, pens, blank medication administration records, and others. Her card could have a much smaller limit of $500, and you could turn both cards on or off at any time. Now that you know what is a p-card, you might want to learn about Bento for Business. Bento for Business’s p-card solutions can help businesses to save transaction costs and to prevent unauthorized purchases. Bento offers up to two cards for free and up to 10 cards for just $29 per month. Larger packages are also available if they are needed. The cards are Visas and can be used wherever Visa is accepted. They are not credit cards, so your credit will not be checked. You will also not pay any interest on your purchases. Bento offers a free 60-day trial. To learn more, call 866.290.4134.